SayWhatNews: Good morning fellows. Thanks for speaking with SayWhatNews. Tell us in 3 words who is IBU. SayWhatNews: IBU means Inspired By U. How did you come up with the name? It was Jonathan that came up with the name. We became IBU because we’re inspired by our family, our friends and now our fans. They gave us the encouragement in the beginning, and now after being together for many years, the validation that we are doing something right. We wanted a name that meant something. Jonathan thought of Inspired By You. We wanted a simple name but with a big meaning. Because we are inspired by many things, be it the people we sing to, or whatever we encounter in our lives..
SayWhatNews: Introduce the members of the band (name, age). SayWhatNews: How did IBU come to be? I went to the same school as Tommy. I knew Jonathan from our break-dancing days. Tommy and Jonathan met each other at a Karaoke bar and decided to form a group, and they asked me to join. We started in 2001. We all loved singing. Mike met Jonathan through friends. I met Jonathan at a karaoke bar but just so happen to go to the same school as Mike. Jonathan and I started the group but then felt we needed a third member. I found out Mike also had a desire to start a group so all three of us decided to meet up at the same karaoke bar to jam. It was then when we felt we had the perfect blend. we were pretty much all friends before IBU. Tommy and Mike wet to the same school and i knew Tommy from way back. we just got together an started jamming..
SayWhatNews: Mike, Tommy and Jonathan, tell us something about you that your fans don’t know. I think fans don’t know that I have a day job. I am an IT during the day. I have been playing hockey since I was 12 years old. We really have a gift that we want to share with everyone that extends beyond the stage. We have passion and love for music and want to help others reach their dreams in a music career. We all get involved in songwriting and individually we have a story to tell. hmm.. that I speak 3 different languages, and I am an undercover "techie" lol. SayWhatNews: Who were your musical influences growing up and why? My major musical influence was my family. My mom and dad love to sing, and that love for music was passed on to me and my two brothers. Michael Jackson, Brian McKnight, NSYNC, Boyz II Men. Their songs were meaningful but fun to sing. The same formula we try to follow when we write songs and melodies. Boyz II Men, of course Jodeci, Dru Hill ... but I love my classics. Luther Vandross, Donny Hathaway, Teddy Pendergrass, gospel singers>> Smokie Norful, Donnie Mcclurkin. I am a fan of the old school because, back in the day, that’s when music was in its rawest form!!!... you could feel the pain, and hurt the singer was singing!!! it really helped me to tune in on what I was singing.. and to become one with the music.. you have to let your soul take over!! SayWhatNews: Wow, nice variety. So, do you guys have any professional training and do any of you play an instrument? I never had any professional music training. As kids we were sent to Piano school, but I never took that seriously. I can probably still play a little. No training... I play the guitar. Music plays a big part in my family because everyone in my family sings. We grew up singing at church.... it just became part of me. SayWhatNews: You guys are currently unsigned, are you searching for a label to call home or do you prefer being independent? And why? We’re happy being independent. We’re able to manage our business the way we want. We own our music catalog. However, being independent also has it’s disadvantages. We do not have the financial resources major labels have. We would like to go in any direction that presents the best opportunity to get our music heard on a massive scale. We feel that our songs can touch people is different ways and want to be able to share this with them. Which ever direction we go, we would like to maintain some creative control and be utilized in a way where our gift will shine. SayWhatNews: IBU won Music’s Muse Best Ballad Award in 2006 and Music’s Muse Half Decade Award - Top 10 Songs & Top 20 Songs Awards for your first album “Redefined”. How did it feel earning such recognition for your first album. It was a big surprise. We are very honored that our first album even got the notice from a music critic. It tells us that our hard work paid off. It feels great to receive any award especially from a body that has heard hundreds or even thousands of artists. It let's us know that we are doing something right and gives us motivation to continue doing it. Very honored!! The first album was just testing the waters if the people would like the songs.. at the same time, we worked hard and carefully chose the songs that would be a part of the album. SayWhatNews: Your sophomore album won 2009’s Music’s Muse Awards for Best R&B Project by A Group, Best Single in Any Category and Best Commercial Single. You guys must be on cloud 9 for the continued success. Are there plans for a tour? We worked hard to create an album that truly represented our character as an R&B artist. We had full control creating our 2nd album and we wanted to make music that was not just different but something that we want to be remembered by. The award it got validated the fact that we did the right thing. Yes we love to perform for our fans. We'd love to tour for our fans. We hope that something gets secured for us so that we can ride the wave from the new CD release. Yes. Right now we are promoting the album, so a tour would probably be just right. 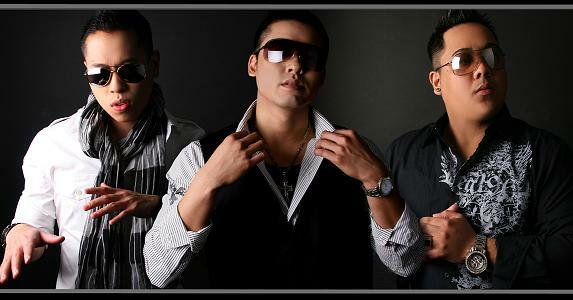 SayWhatNews: Its been 7 years for IBU and you guys are still the most sought after Asian-American performing group. What sets you apart from the masses? I want to believe it’s our music and being original. We try to create a sound that’s unmistakably IBU, and that has a lot to do, not only with our style, but also our harmonies. We have a different sound than most other Asian-American performing group mainly because of our influences and our attempt to be a different "brand". We try to capture the essence of harmony & soul and mix it with hip-hop elements. We used to be break dancers. We each have lead potential voices so it's not uncommon for us to showcase each member's voices as leads / solos depending on the song. Maybe not just being singers, but also knowing about the music industry. the style of harmony in our songs, and having music the young and old will like. 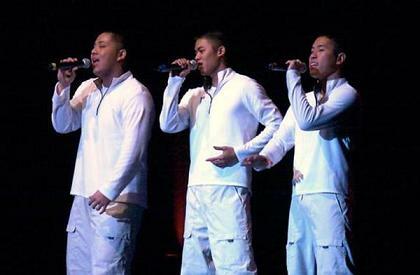 SayWhatNews: Back in 2005 you guys won Best R&B Group at New York’s International Music Festival becoming the first and only Asian group to win. Now out of 300 artists world wide who competed, IBU won the title. How surreal was that crowning moment? It was our 2nd major award. We won the Chicago Music Opportunity project in 2004. We decided to join the New York International Music Festival just to test the waters, to see if our style of music has some appeal in that environment. We didn’t really think much of the competition part. We just wanted to meet all the other performers and sort of compare ourselves. We didn’t even know we were the first and only Asian group to win that festival, until we were told weeks later. But it was a fun experience. It gave us the confidence and encouragement that we could be successful in this business. It was great because winning anything out of New York means a lot. Then to think we were able to edge out all of the other talented acts there, it was a big deal. Man that was crazy!!!!! We told each other that no matter what happens, its only an opportunity for us. It really didn’t matter if we won or not. Just being there to represent was cool.. at the same time it also felt like for me... like having your city, your people, everyone rooting for you on your shoulders!!! SayWhatNews: You guys were even featured on MTV 2 featured Artist. How did you learn the news? We were really surprised when MTV2 contacted us to do a segment. It happened so fast and soon after we had to go through pages and pages of contracts and release forms, and the video shoot shortly after. The significance never really sunk in till it actually aired months later. I think they found out about us through MySpace. The filming was a fun process. The reaction from friends that saw us on there was even better. They contacted us…. that was cool. SayWhatNews: Do any of you have plans or want to throw your hat in the acting arena? That would be nice. We never had any acting experience, but we never had professional music training and experience either. I’m sure it will be a fun experience. I think we all strive to be an all around entertainer or a triple-threat. Mike has a dream of becoming an actor. Personally I'd love to dive in to that arena if the opportunity is there. SayWhatNews: What does IBU like to do in their spare time besides perform? We have all day jobs and we we’re IBU after work and on weekends. We continually work on making music, learning more about the music industry everyday, too. Right now, we’re busy promoting our 2nd album and preparing for future shows. Other than that I play hockey and go on several tournaments. Hit the gym after work. Songwriting, surfing the web, tweeting / facebook'ing, snowboarding, paint-balling, spending time with family, living life to the fullest. SayWhatNews: Is there any artist or producer you would like to collaborate/work with? Why? We’d love to work with established artists and producers. It will be an honor to work with them and learn from them. Learn from their styles, and learn from their discipline. They know what it takes to be commercially successful. It would be great to work with any producers that sets a trend rather than follow it. At the moment, I'd love to work with JR Rotem because he seems to have the golden touch and making artist like Jason Derulo and IYAZ and overnight sensation. Working with Usher and Justin Beiber would be cool. Anybody that can take IBU to the next level.!!! Im down.!!! SayWhatNews: What’s next for the group IBU? We’re taking it a day at a time. We will probably continue to make music. We want to leave something behind for the future generations to remember us by. We will probably be on the road in the next few months to share our music and promote our 2nd album. Touring is stressful. It’s a lot of hard work. Ultimately, when our performing days are done, we’ll probably go into songwriting and producing for other aspiring artists. Promote the current project and make it as successful as can be via tours and other promo opportunities.